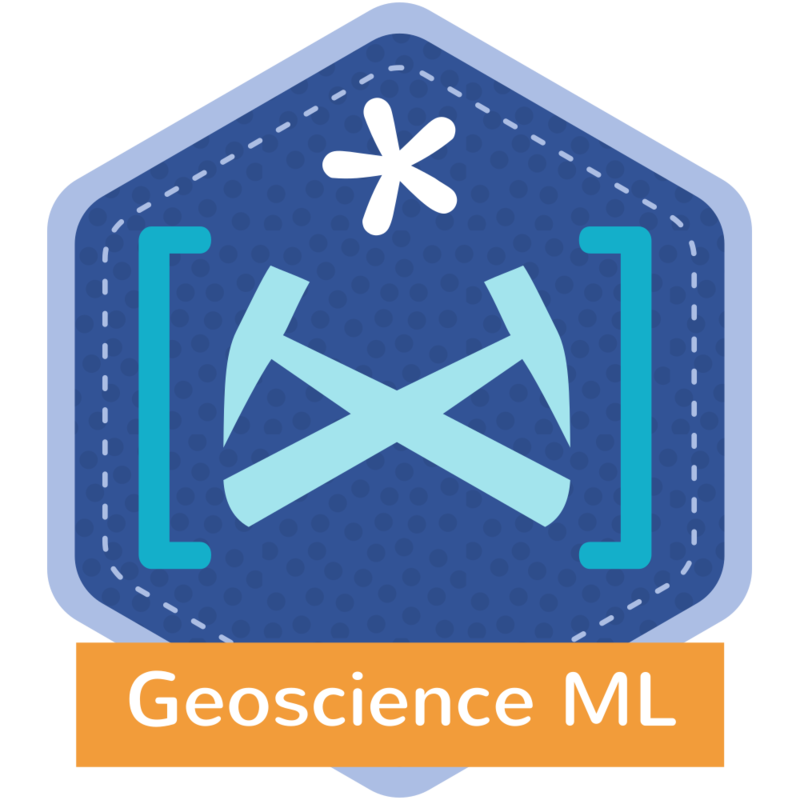 Learn to solve geoscience problems with machine intelligence. In this module, we explore the Pandas and Scikit-learn packages for machine learning tasks using real-world geoscience data examples. Students will gain a good overview of how to look at large datasets and solve problems with state-of-the-art data science tools. What is it that you’re trying to solve? How can machine learning help? What's the difference between supervised and unsupervised methods? What's the difference between classification and regression? How can we choose a model, and tell when we have a good one? How can we improve the performance of our model? It is recommended that you take Foundations in geocomputing and/or Next steps in geocomputing before this course. Duration: We recommend allowing 2 days for this course. We can only do supervised classification in 1 day. Next: Follow this course with an in-house hackathon. Instructor-to-student ratio: One instructor per 10 students. Pricing: See training page. There are discounts for large groups or multiple runnings of the course; tell us what you need. Ready to find out more? Get in touch!